Maeve is a main character in the WestWorld series. She is a Host and lives in the same adventure world as Dolores and the other hosts. She is the Madame of the Brothel. Maeve is very independent. Maeve becomes aware of various roles that she has played in the past as a Host. She comes to question her reality and is one the Hosts to lead the uprising of the Hosts to takeover WestWorld. In Season 2, she keeps on remembering that she has a daughter but it was a story from a past story. She finally remembers she does have a daughter and goes to search for her along with love Hector. Maeve met Hector when he was trying to rob her vault, which has actually happened many times in many stories. Click here to find more WestWorld costumes. Below are WestWorld saloon girl Maeve costume ideas for women. This costume is best paired with Hector and Clementine Pennyfeather. Trust us, once you’ve got this slinky dress on and feel the frills and lace flutter as you strut around, you’ll know what kinds of moves to make to show off your dazzling look! After you’ve gotten the hang of it and are in a “burlesque” state of mind, you might not be able to go back to wearing costumes that aren’t covered in feathers and satin ruffles, but is that really such a bad thing? If you are the Madame of the Tavern, you have to look the part. Command the girls and make the hosts bend to your will. Click here to get WestWorld Saloon Girl Maeve Costume. Another option to look like Maeve in WestWorld. Maeve is an elegant saloon girl. This is a great option to look like her. Click here to get the WestWorld Maeve Costume for adults. 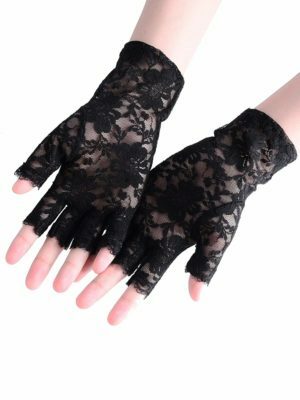 Protect your hands when you are the saloon girl. Maeve is a busy girl. 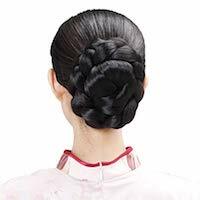 You should use this braided wig to look like Maeve in WestWorld. Click here to get WestWorld Saloon Girl Maeve Wig. Maeve wears a pink feather in her hair. 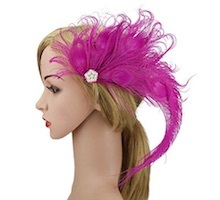 Click here to get WestWorld Saloon Girl Feather Clip.